Philadelphia has been staying to form when it comes to building a contender in the salary cap era by doing so through the draft. It shows with the prospects they have been stockpiling, particularly on the blueline. Their cupboard contents aside, they also have reasons for Flyer fans to remain hopeful in their active lineup as well. These include the likes of Shayne Gostisbehere, Sean Couturier, Ivan Provorov, among others. 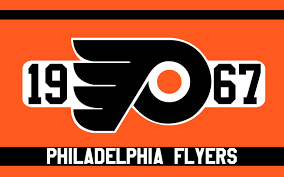 While they do have some players that can make an impact at the NHL level, Flyers GM Ron Hextall continues to exercise patience with the youngsters as he prefers them to get more minutes at the AHL level then to be given limited exposure in the NHL. With the few exceptions the Flyers will have a lot of familiar faces returning to training camp, many of which will be vying for a full-time spot will be Lehigh Valley standouts looking to finally make the transition to the big time. Other than Anthony Stolarz whom now has Brian Elliot to contend with in addition to Michal Neuvirth, all NHL-ready prospects should have a fighting chance to make the roster. Aside from the aforementioned Stolarz; Travis Sanheim, Samuel Morin, Oskar Lindblom, Robert Hagg and last but not least Nolan Patrick are all expected to get a long look at training camp. The competition for a spot on the Philadelphia blueline ought to be nothing if not fierce. Up at forward things will likely be more of the same with the exception of Patrick and perhaps Lindblom expected to put up a strong bid for spots in the opening night lineup. 1. Nolan Patrick, C – Brandon (WHL) Could be a find at second overall, could put egg on the face of the Flyers due to his health problems and questionable ceiling. I am leaning towards Patrick being a find. 2. Travis Sanheim, D – Lehigh Valley (AHL) The Flyers are quietly accumulating an embarrassment of riches when it comes to homegrown puck-moving defensemen, Sanheim is a valid case in point. 3. Samuel Morin, D – Lehigh Valley (AHL) A tough cop that has made an effort to be more well-rounded in order to make himself more employable in today’s game. His skating has come along nicely and he has improved on his already capable passing, as well he should considering his offensive limitations. 4. German Rubtsov, C – Chicoutimi (QMJHL) Expected to report for his first full year of duty in North America. 5. Oskar Lindblom – Has a fighting chance to make the NHL roster with few talented wingers to go around. 6. Philippe Myers, D – Lehigh Valley (AHL) Myers is the odd man out of the four defensemen that have a chance to crack the Flyer roster this fall. He can still can make it interesting if nothing else with a strong training camp, however he will be best served getting the keys on the AHL Phantoms top pairing. 7. Anthony Stolarz – Lehigh Valley (AHL) Held his own in most of his NHL cameos last year, barring injury he likely won’t see as much an opportunity with the Flyers this year. 9. Mikhail Vorobyev – Played a noteworthy role on a KHL squad before turning 20, may be worth keeping an eye on in the AHL. 10. Carter Hart – May very well be the long-term solution to the Flyers’ goaltending woes, can turn some heads in training camp before returning to Canada for his WHL farewell tour. There aren’t a lot of players to speak of leaving junior to enter the pros, however some are expected to make the jump across the pond to at least play in the AHL if not the show. In light of signing his entry-level deal, Mikhail Vorobyev is expected to play for Lehigh Valley this fall barring a very impressive showing at training camp. Oskar Lindblom is another that comes to mind that makes the jump yet has experience playing pro hockey. As previously alluded to there will be a lot of players champing at the bit for a spot on the NHL roster, especially on the blueline. Sanheim, Morin, Myers and Hagg all have it in them to make some noise. Whether or not they will all make it and stay in Philadelphia is another story. While Myers could use some more time in the AHL, the rest are ready for big league duty now. At forward, Lindblom is expected to put up a strong case for a roster spot right now. Patrick however seems mired with uncertainty as his health repeatedly raises questions about his robustness in the professional game. That notwithstanding, he may very well end up looking like a steal at second overall for the Flyers if there is such a thing. In any event, his fantasy upside is long-term as the first two centre spots on the roster still belong to Giroux and Couturier, respectively. Samuel Morin – He’s been on the slow train to being a long-term NHL player, however that train seems to be well on its way to him being the top-four defenseman that the Flyers have been expecting out of him. Since Braydon Coburn was traded there has been a truculent hole in their lineup that never got filled. Enter Morin. Nolan Patrick – This one goes without saying. His health situation seemingly can only get better from here. Aside from that he doesn’t use his size as much as he ought to, not that he needs to given his above average vision. He is going to put the biscuit in the basket however it will have more to do with his terrific release than the amount of punch his shot packs. Alex Lyon – He is a victim of circumstance as Elliot coming into replace Mason with the big club inhibits his ability to get a lot of meaningful minutes with the Phantoms in the coming campaign. How he is older than fellow goaltender prospects Carter Hart, Felix Sandstrom and Anthony Stolarz does not help his case. Pascal Laberge – Through no fault of his own, Pascal Laberge has an uphill battle ahead of him. He was poised to breakout last season before concussions took their toll on him. He has a chance to still be a terrific second-round find for the Flyers however he needs to stay healthy long enough to give himself the chance to catch fire once more. Nicholas Aube-Kubel – A dismal freshman performance in the professional ranks last year left the Flyers faithful wanting much, much more. His job at impressing the powers that be is not getting any easier with the team pipeline of prospects filling up steadily.